San Diego - January 29, 2018 - Cibus, a leading plant breeding company, has appointed Noel Sauer to the scientific management team as Vice President of Research. Sauer, who founded Cibus' technology development team and previously served as Director of Technology, now leads Cibus' research efforts in developing commercially relevant traits, including disease resistance and healthier oils, in a variety of plants such as canola, rice, flax and potato. Sauer has contributed to the development of traits in a variety of commercially relevant crops by driving significant advances in Cibus' Rapid Trait Development System (RTDS™), a suite of non-transgenic breeding technologies, which includes plant cell biology, genomics and cutting-edge precision genome editing. She was the lead author on the published research in Plant Physiology, titled "Oligonucleotide-Mediated Genome Editing Provides Precision and Function to Engineered Nucleases and Antibiotics in Plants". 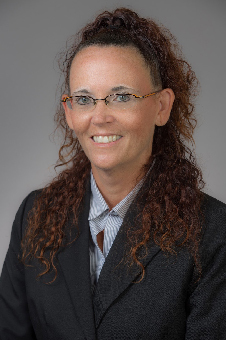 "As a leader in the agricultural technology industry, Noel has inspired her team to continue to extend the breadth of the RTDS technologies in field crops, and her work has a global impact," said Greg Gocal, PhD, Executive Vice President and Chief Scientific Officer, Cibus. "With Noel's leadership, Cibus is working to meet the increasing global food demand by accelerating plant breeding while addressing its limitations. Her focus on innovation and successful track record allows Cibus to deliver high-quality products to consumers, farmers and the entire agricultural community. Noel bolsters our research team and propels our technologies to new heights." Sauer frequently represents Cibus at national and international events. She will attend the 4th CRISPR Precision Gene Editing Congress in Boston, Mass., February 26-28, and the EMBO Workshop on Plant Genome Stability and Change at IPK Gatersleben, Germany, June 3-6, 2018. As a leader in genome-editing in plants, she was a panelist at the 2016 World Science Festival in New York, on the topic 'Splicing and Dicing DNA: Genome Engineering and the CRISPR Revolution'. The San Diego Business Journal recognized Sauer as one of San Diego's Women Who Mean Business in 2016. This longstanding awards program recognizes women who have made a difference in San Diego's business, cultural and civic scene. Sauer joined Cibus in 2009. She holds a Bachelor of Science in Biological Sciences from the University of Southern California and a Doctor of Philosophy in Microbiology and Molecular Genetics from Harvard University.